…an attendee approached me with a question I’ve been asked a hundred times before. 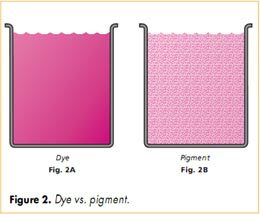 “Are these water-based inks or pigment inks?” I gave my usual response, “Well, both—actually,” then launched into an explanation about ink formulation theory, the history of inkjet printing, and the correct application for ink types. He proceeded to tell me I was wrong because someone at a printer manufacturer’s booth had just told him the opposite. This is a beginning of a great article titled “Debunking the Myths of Digital Inks” by Tony Martin for Digital Photo Techniques magazine. I recommend everyone who interested in printing technologies and every inkjet printer user reading this article. How exactly this difference affect image quality and work of inkjet printer in general you will learn from the acrticle. This entry was posted on Wednesday, March 5th, 2008 at 3:31 am	and is filed under inkjet, inks, printer. "DYMO DiskPainter Spins And Paints"
"Connecting A Printer to A Wireless Computer Network"